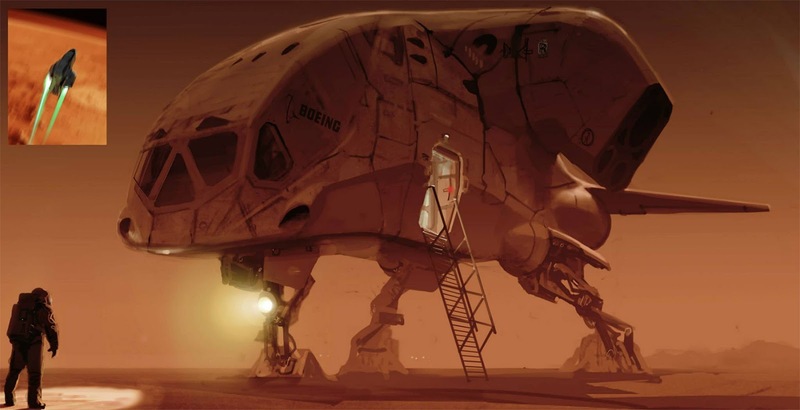 Picture of the Day 27/11/2016 - Concept of Boeing Mars lander by movie artist Romek Delimata for "The Last Days on Mars" (2013). More of his art here. Picture of the Day 25/11/2016 - Concept for NASA's base on Mars by Russian concept artist Alexey Rubakin. More of his art here.